The Govs designated hitter followed up with a home run to right center to give the Govs a 3-2 lead. Third baseman Alex Robles followed with a two-out solo home run and a 4-2 advantage. Tipler would also spark another big rally in the fourth. The Govs would load the bases and scored a run on a wild pitch with Tipler at the plate. Two pitches later, Tipler finished clearing the bases with a two-run single as the Govs raced out to a 7-2 advantage. Eastern Kentucky (21-16, 7-8 OVC) would get a run back in its half of the fourth when third baseman Brendan Overton would hit a solo home run, narrowing the deficit. 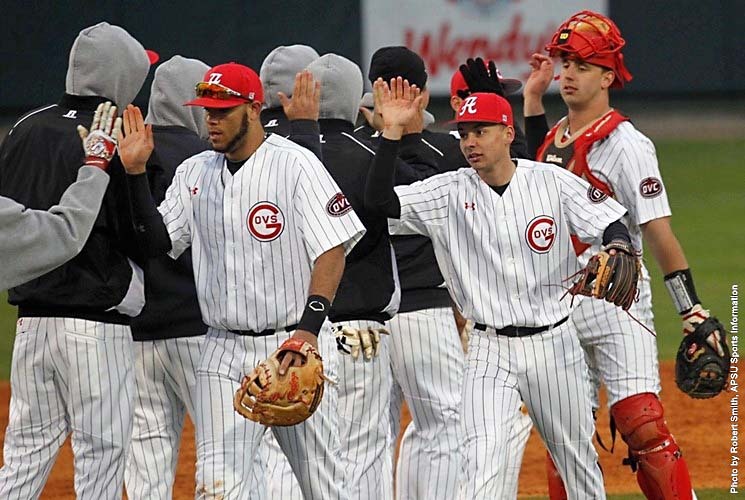 But that would not forestall the Austin Peay offensive outbust as they sent nine men to the plate in the fifth and another eight men to the plate in the sixth, finishing the two frames with a 14-3 lead. Center fielder Imani Willis capped the Govs scoring with a two-run home run. The Colonels slowly chipped away at the Govs lead down the stretch. An Austin Peay error in the sixth led to shortstop Ryland Kerr’s three-run double in the sixth inning. Eastern Kentucky would tack on another run in the eighth before posting another three runs in the ninth, two coming on designated hitter Taylor Blair’s double. The Govs then turned to closer Zach Neff who induced a fly out from the only batter he faced to end the game. Tipler became the fifth Govs hitter to record at least five RBI in a game this season and was one of six Govs hitters to record a RBI in the contest. Govs starter Jacques Pucheu (1-0) notched his first victory as a Governor after holding EKU to three runs on five hits over five innings. Neff was credited with his season’s third save. EKU starter Eric Nerl (0-2) suffered the loss after allowing four runs on four hits in 2.2 innings. Kerr paced the Colonels offense with a 2-for-4, five RBI day. Tipler provided the Govs offense with a much-needed spark in the series finale. His second-inning three-run home run gave the Govs a 3-2 lead. Tipler then added a two-run single in the fourth as the Govs opened a 7-2 advantage. He also walked as part of his 2-for, six RBI outing. On a blustery day in Richmond, the Govs were able to hit a trio of home runs. Tipler’s three-run blast started the day and was followed two batters later by third baseman Alex Robles‘ solo shot. Center fielder Imani Willis added his name to the hat in the sixth with a two-run home run to left field. The Governors capitalized on 11 walks issued by the EKU pitching staff. Second baseman Garrett Giovannelli, left fielder Cayce Bredlau and center fielder Imani Willis each had two walks. Austin Peay made the most of its early opportunities, moving the runner on 12 of its first 13 chances as it opened up its 14-3 lead. They finished the day moving runners on 15 of their 22 plate appearances with a runner on base. Austin Peay continues its five-game road trip with a 6:00pm, Tuesday contest at Lipscomb.